So, you're ready to give radio controlled helicopters a go, or at least want to learn more about them to decide if you even want to give em a go. That is a great approach by the way (learn as much as you can first), and I hope my little heli site here is able to answer most if not all of your questions. So, let's start right at the beginning assuming you don't know all that much about RC helicopters yet. When I am out flying radio controlled helicopters, I often get asked many questions by people who stop and watch. Yes flying an RC helicopter usually draws a crowd. There are several common questions I always get asked, but let's start with the basics first. Toy radio controlled helicopters are exactly that, a toy. They are very basic and inexpensive. The controls are limited and not precise, but they are still loads of fun and easy to fly. A toy RC heli can take quite a bit of abuse from crashes or from hitting objects. 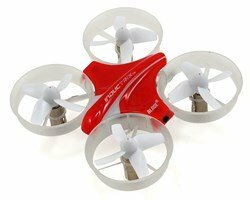 If you just want to get your feet wet and find out if you even enjoy controlling a small flying device by radio control, then a toy heli is a good starting point. I have a section devoted to toy RC helicopters - click here if you wish to learn all about them. 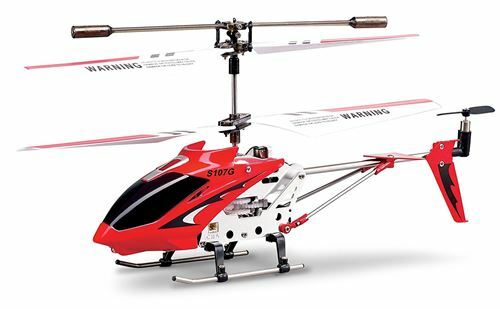 Micro Coaxial hobby grade radio controlled helicopters are the next step up in complexity, cost, and control ability. First off, hobby grade generally means there are individual parts on the helicopter that can be purchased from a hobby shop and replaced separately. This means when you crash or break something, the heli is not junk, you simply purchase a new part/s and your bird is good as new. The other benefit with hobby grade is that replaceable parts allow you to upgrade certain components to get better performance. A toy heli on the other hand comes as is, and if it breaks, that is the end of it. Micro coaxial hobby grade RC helicopters, also called dual or twin rotor helicopters start introducing real helicopter control - up, down, turn, forward, backward, sideways movement and of course hovering. Micro Coaxials are almost as easy to fly as a toy radio controlled helicopter but they are larger in size and mass. This means if you crash one, you may break or damage a part. The good news as I mentioned above, is you can fix it very easily yourself. If you already know you will enjoy flying a radio controlled model, and want good control over your RC helicopter, a hobby grade micro coaxial is a great way to start out. They are best for flying indoors, but a nice calm day outside will provide a nice flight as well. I have a section devoted to micro coaxial RC helicopters - click here to learn all about them. 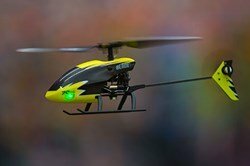 RC Quadrocopters/multi rotor are the latest development in radio controlled vertical lift platforms that are able to take off vertically, hover, and fly in all directions. As the name suggests, there are 4 (or more) propellers arranged in a cross type configuration. I built a page devoted to multi/quad rotors if you don't know much about them. They do make a very good first RC helicopter if you want an easy to fly RC aircraft and don't really care about it looking like a conventional helicopter design. These little micro single rotor heli's are the next step up from the micro coaxials & quadcopters. They are slightly harder to fly than the coaxials & quads, but with similar self correcting stabilization qualities thanks in part to electronic flybarless stabilization. These little birds essentially bridge the gap between the lower performance micro coaxials & quadcopters to the higher performance single rotor collective pitch helis. If you know you are going to like this hobby - these are a wonderful little heli to start out on. I'm really impressed with the Blade 70s as a lower cost option. Now we get into real helicopter control, amazing performance potential, increased complexity, and cost. The majority of my web site is focused on single rotor collective pitch RC helicopters because there is so much to learn about them, the equipment required to fly them, and of course how to fly them. 1. "What Does It Cost?" Probably the single most common question I get asked is – "How Much Does A radio controlled helicopter Cost?" What most people don’t understand is the helicopter is just one part of it. A better question is "How much does it cost to start flying hobby grade RC Helicopters?" There are several items you need to get before you can start flying, and usually these all have to be purchased separately (once you progress past the micro sized ready to fly helicopters). The Gyro or Flybarless System. Here is a general cost guide line. The prices listed are for a complete set up (helicopter, radio, gyro/flybarless unit, engine/motor, batteries, etc.) in USD. Remember – these are just very approximate numbers and you can spend many times more than this if you get top notch everything. On the flip side you can find good deals on older stock, sale or clearance items, used gear, or package deals. Manufacturers are starting to recognize that people new to the hobby just want to get in and get out - so they are putting together entire starting packages such as Blade's 330X RTF package that will save you time and money by including every component you need to get airborne. There are always sales going on, and don’t over look the used or pre-owned market . This might seem like a lot of money for a hobby, but when you look at what other hobbies cost, RC Helicopters like most other endeavors can be as inexpensive or expensive as you wish. It all depends on how serious you are involved in the hobby and if you choose to purchase only high end, top quality gear over modest priced or used equipment. Regardless, this hobby like any that involve mechanics and electronics does require some disposable income. Both up front for equipment, and then afterward for maintenance & repairs. 2. "How Far, How Fast, How High?" Next to cost, these are the three most common questions I get asked while flying radio controlled helicopters. Let's start with how far and how high... There is no single answer to these "distance" questions because it depends on the type and size of radio controlled helicopter. Size? Yes, size is the limiting factor across the board here since you can only control a RC helicopter if you can see it; so the larger it is, the further out and higher you can fly it. Today's decent hobby grade radio equipment is generally good for up to at least a 1-2 KM control range (about 3000-6000 feet) depending on factors such as receiver type/placement (park fliers & micros will have less range), surrounding buildings/power towers, and atmospheric conditions. I have personally flown my FPV hex rotor out to just over 2.5KM (about 8200 feet) using standard off the shelf name brand RC radio equipment before losing radio signal; so when the conditions are good, you can certainly push the range envelope well beyond anything you would normally need. 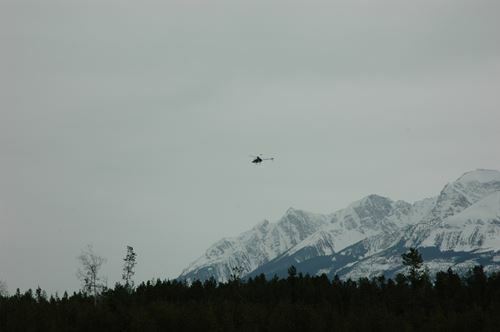 Even a very large RC helicopter starts to become very hard to see at 1000 feet away and once you can't make out several critical identifying components on the heli such as the body, the tail boom, the landing skids, and the almost near invisible rotor disc; it gets impossible to see and you have to see exactly what it's doing in order to control it. Lighting also plays an important roll here as well as the color scheme on your bird. Bright contrasting colors are easier to see so that will help extend your range slightly. Late in the day when the sun starts getting closer to the horizon, visual range is reduced substantially since the heli gets darker and is silhouetted against the sky (same can be said for overcast days). This makes it near impossible to figure out which way the bird is flying and is very easy to lose orientation awareness (the number one cause of crashes for beginner to expert). How good your peepers are is obviously a big factor here as well. I know my 50 year old eyes can't see as well as what my 20 year old eyes could and over the years, that has certainly reduced my distance and height flying envelope. So the simple answer here is you can fly a radio controlled helicopter as far away or as high up to the point you can't see what you are doing. You will lose practical visual acquisition range LONG before radio range in other words. 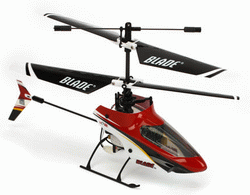 Speed is also dependent on the specific type and size of radio controlled helicopter. A small micro coaxial may only fly with a top speed of about 5 kph (3 mph) whereas I have clocked one of my larger collective pitch helis at over 150 kph (90 mph). The radio controlled helicopter world speed record last time I checked was 311 kph (193 mph), accomplished by a speed specific designed Diabolo Speed collective pitch RC helicopter. 3. Do You Have To Know How To Fly RC Planes First? Not at all! There are very limited similarities in flight controls between helicopters and airplanes. Experience with an RC airplane won't help you fly a radio controlled helicopter, but will certainly help you with things such as getting your engine running and tuning it. It will also help with the familiarity of RC radios, speed controllers and batteries. Even RC car and truck experience will help. In fact, our RC car sisters and brothers probably have an advantage when it comes to building the helicopter, there are many similarities between the mechanical workings of RC cars and RC helis and how they are built. Of course if you have no RC experience, that is okay to, you will just have a longer learning curve. 4. "Are Radio Controlled Helicopters Hard To Fly?" No sugar coatings here – when you are first starting, single rotor collective pitch are exceedingly difficult. It is said that radio controlled helicopters are harder to fly than real ones. I have talked to a few helicopter pilots who fly both, and most will agree with that statement to an extent. Here is write-up I have done that explains in greater detail just how hard - or easy depending on your point of view. This is the main reason why I built the How To Fly RC Helicopters section of this web site. I don't want people to give up with RC helis simply because they didn't have someone to guide them through the basics of learning how to fly. You also have to understand some basic helicopter flight theory before you even attempt to fly a helicopter, although that is the same for RC airplanes. Like I side before, learning how to skate or ride a bike seemed impossible for many of us, but once you got it, it seemed so easy right. Helis are no different – just more technical. There are more tools now than ever to help you along the way such as RC helicopter flight simulators, and the equipment is much better. Learning from a qualified RC heli instructor is the best way to go, but many of us (myself included) have learned on our own - self taught. Almost anyone can figure it out. Some catch on quick, others take a bit longer – but if you take your time, understand the basics, learn in small steps, practice, practice, practice, and have passion, there is no reason you can't succeed! 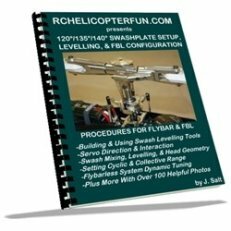 The Beginners Guide To Flying RC Helicopters is an eBook I offer to help the RC heli newbie navigate through the maze of radio controlled helicopter information in a logical and easy to read format. 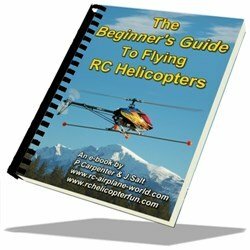 Click on the image if you wish to learn more about this beginner friendly RC helicopter eBook. 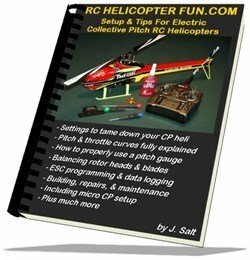 Setup & Tips For Electric Collective Pitch RC Helicopters is another one of my own eBooks that will help people who are starting out on collective pitch helicopters and want to learn how to tame them down into a good trainer platform along with many other tips for those first getting into the hobby. Proper setup on a collective pitch heli is crucial - this eBook demystifies the process. Click on the image of the book to learn more about what's inside and how it can help. 5. "A Friend Of Mine Tried Radio Controlled Helicopters, But Gave Up?" Not being compatible with the hobby. I talk more about this and what attributes most of us "heli heads" share on my about me page. This hobby simply won't be everyone's cup of tea. It requires patience, practice, & perseverance! Not purchasing the best RC helicopter for their needs. Not understanding basic RC helicopter controls and theory. Rushing the build and set-up process or not fully understanding the complexities involved. Rushing the flying process, if they even understand the steps involved in learning how to fly an RC helicopter. Simply not having anyone to help. Hopefully I and my website can take care of all, but the first reason listed. I built this website to offer sound advice and guide you along the way. I want people to succeed with radio controlled helicopters and enjoy this rewarding and fun hobby as much as I do - hopefully for a life time.